There is an interesting article from the Politico regarding the enforcement options available to Congress with respect to the refusal of Harriet Miers and other former or current Administration officials to provide information in the investigation of the firing of US attorneys. The article focuses in particular on the potential for using “inherent contempt,” which it describes as a “really odd” but “technically legal” process. Inherent contempt is the term used for the procedure by which a legislative body, such as the House or Senate, may arrest, try and imprison a person for contempt. The Supreme Court has long recognized that the power of each House of Congress to punish contempt, although not explicitly granted by the Constitution, is “essential to the effective exertion of other powers expressly granted, and therefore  implied.” McGrain v. Daugherty, 273 U.S. 135, 169 (1927); see Anderson v. Dunn, 19 U.S. 204 (1821) (first Supreme Court case recognizing the power of the House to punish contempt). 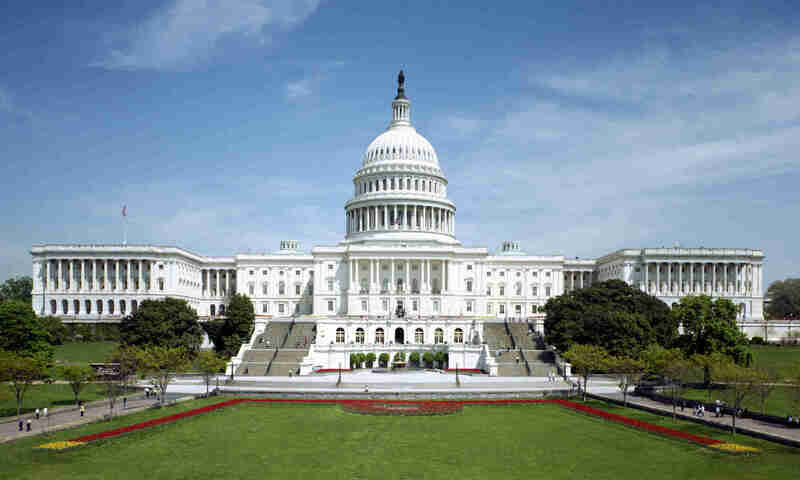 The House and Senate exercised this power on a regular basis until the early 20th Century, but the House has not used it since 1916 and the Senate has not used it since 1935. Although inherent contempt may seem archaic, and the idea of Congress putting people in prison may be unsettling, there is no serious question that the power exists and could be lawfully exercised under the proper circumstances. It is, however, remarkable that this long-dormant power has enjoyed such a resurgent popularity in recent months. Not only are many bloggers at sites such as TPM Muckraker evidently eager to see this power used to lock up various Bush Administration officials, but even House Judiciary Committee Chairman John Conyers asserted, in a July 19, 2007 letter to WH Counsel Fred Fielding, that inherent contempt might be used against WH Chief of Staff Josh Bolten. To appreciate how unusual this is, consider that during the Clinton Administration, Republican Committee Chairman (Dan Burton, eg) wrote hundreds of letters complaining about failure to provide information or respond to subpoenas, but to my knowledge not one made reference to the possibility of inherent contempt. Indeed, inherent contempt has never been used, or even attempted to be used, as a means of resolving an executive-legislative dispute. The emerging fan base of inherent contempt may wish to consider a few things before they become too enamored of the idea. Inherent contempt can be used not only against contumacious witnesses, but against anyone who violates the dignity of legislative proceedings (eg, demonstrators who disrupt committee hearings). Moreover, it can be used not only by Congress, but by state legislatures as well. While I agree that inherent contempt is a lawful power which can and should be used under appropriate circumstances, it is important to recognize that it is not only cumbersome (as explained below), but is potentially subject to abuse. For more information on the inherent contempt process, continue below. 1.Legal Basis. It has long been recognized that the power of each House of Congress to punish contempt, although not explicitly granted by the Constitution, is “essential to the effective exertion of other powers expressly granted, and therefore  implied.”McGrain v. Daugherty, 273 U.S. 135, 169 (1927); see Anderson v. Dunn, 19 U.S. 204 (1821) (first Supreme Court case recognizing the power of the House to punish contempt).The power derives from the Constitution itself; thus, “Congress could not divest itself, or either of its Houses, of the essential and inherent power to punish for contempt, in cases to which the power of either House properly extended.”In re Chapman, 166 U.S. 661, 671-72 (1897).The power extends to punishment of witnesses who refuse to testify on matters pertinent to a valid legislative inquiry because “the power of inquiry– along with process to enforce it– is an essential and appropriate auxiliary to the legislative function.”McGrain, 273 U.S. at 174.More recently, in discussing the power of a state legislature to punish contempt, the Supreme Court noted that “[t]he past decisions of this Court expressly recognizing the power of the Houses of the Congress to punish contemptuous conduct leave little question that the Constitution imposes no general barriers to the legislative exercise of such power.”Groppi v. Leslie, 404 U.S. 496, 499 (1972). 2.Historical Usage.From the late 18th Century to the early 20th Century, both the House and Senate exercised the inherent contempt power on numerous occasions.A November 22, 1977 memorandum of the Congressional Research Service summarizes approximately three dozen cases in which the House or Senate imprisoned contumacious persons.In addition to punishing recalcitrant witnesses, the contempt power was used for punishing such interferences with the legislative processes as assault and bribery.It appears that the last use of the inherent contempt power by the House occurred in 1916, when the House imprisoned a United States Attorney for writing an allegedly defamatory letter about a committee.This use of the contempt power was held to be invalid in Marshall v. Gordon, 243 U.S. 521 (1917), on the ground that it exceeded what was necessary for the preservation of the legislative power.The last use of the inherent contempt power by the Senate occurred in 1935.See Jurney v. McCracken, 294 U.S. 125 (1935). 3.Committee Action.The inherent contempt process typically begins with a committee issuing a report to the House finding that a witness has failed to comply with a subpoena or to answer pertinent questions at a hearing.The report recommends that the House adopt a resolution such as that set forth in paragraph 4 below. RESOLVED further, That when the said _______ shall be brought before the bar of the House to answer the charge of contempt of the House of Representatives, as set forth above, the Speaker shall then cause to be read to said ________ the findings by the Committee; the Speaker shall then inquire of said _________ if he desires to be heard, and to have counsel on the charge of being in contempt of the House of Representatives.If the said ________ desires to avail himself of either of these privileges, the same shall be granted to him.If not, the House shall thereupon proceed to take order in the same manner. 5.Arrest.The Speaker then issues the warrant to the Sergeant at Arms, who proceeds to arrest the witness.The arrest may be effected by the Deputy Sergeant at Arms if the resolution so permits.See McGrain, 279 U.S. at 155-56.It is less clear, however, whether the power of arrest could be delegated to the Capitol Police.See, e.g., 40 U.S.C. 212a (defining arrest power of Capitol Police and providing that they shall act under the direction of the Capitol Police Board).The witness is then brought before the bar of the House, and the Sergeant at Arms announces that he has taken the witness into custody in accordance with the resolution. 6.Hearing.The hearing is generally conducted immediately after the arrest of the witness.The hearing is normally conducted before the bar of the House, but on some occasions the House has provided that the hearing be conducted before a committee.The charges are read to the witness, and he is provided an opportunity to be heard.He may have counsel to represent him. RESOLVED, That _______, having been heard pursuant to the citation heretofore issued directing him to show cause why he should not be punished for contempt for failing to answer the questions of the Committee (or failing to comply with the subpoena issued by the Committee) after subpoena issued, and having failed to show sufficient cause why he should not be punished, ______ is adjudged to be in contempt of the House. RESOLVED, That the Sergeant at Arms be directed to hold said ______ in close custody until he shall purge himself of said contempt, or until discharged by order of the House. 9.Duration of Imprisonment.The imprisonment of a contumacious witness may not exceed the termination of the legislative body.See Anderson, 19 U.S. at 231.Arguably, the witness must be released upon adjournment sine die or even a periodic adjournment. 10.Judicial Review.A witness who has been arrested or imprisoned by the House may challenge the House’s action through a petition for habeas corpus or through an action for false imprisonment against the Sergeant at Arms. Previous PostPrevious Did Senator Craig Breach the Peace? Next PostNext Is this Really Legal?